Instagram video content is definitely on the rise with videos said to be a ‘megatrend’ for 2018. A lot of marketers are switching up their strategies to include video marketing heavily, with 78% of marketers who have used Instagram video finding it to be an effective strategy. Won’t Instagram video content take a whole lot of time to create, edit, and upload? The good news about it is that because Instagram video content is such a massive trend, there are a lot of new tools and apps popping up to help you make the most out of it. In fact, a lot of the iMovie tutorials you can watch on YouTube to learn how to edit videos actually show you how to edit together pieces of content from the iMovie app on your phone. 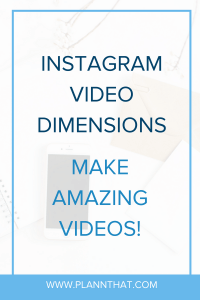 But before we delve deep into the ‘how’ of creating the perfect Instagram video dimensions, let’s make it super clear what the ideal Instagram video dimensions are so that you can make sure your content is the right size for the ‘gram. 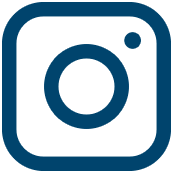 Instagram can support nearly all video file formats that you can think of, but the most commonly used video file types that are uploaded are mp4 videos. For the perfect Instagrm video dimensions, the maximum video size for all video formats is 4GB. Videos that you want to share on your Instagram Feed can be up to 60 seconds in length and can be a square video, portrait style video or even a landscape style video. It is important to keep in mind that your video will look ‘cropped’ in your Instagram grid if you choose one of the larger video sizes, but if you don’t mind about that then feel free to create a landscape or portrait-style video for your Instagram feed. Instagram Story videos can be up to 15 seconds in length (per video) and the ideal video size for Instagram Stories is 1080×1920. If you want to record a video and split it up perfectly into 15-second ‘chunks’ with ease, we highly recommend downloading the CutStory app. IGTV is a relatively new addition to the Instagram family, and with it comes a whole new way of sharing video content with your Instagram audience. You can set up your own IGTV channel and from there begin to share videos up to 10 minutes in length. Unless of course, you are buddy-buddy with Instagram; which in that case means you can upload videos to your IGTV channel that are up to one hour in length. Videos for IGTV must be vertical (you can also call them portrait-style videos) and the ideal aspect ratio for these videos are 9:16. SHOULD YOU TRY CREATING VIDEO CONTENT? Instagram video content is definitely worth giving a try because not only are videos trending in 2018; they are also a form of content that can easily be used multiple ways. You could go ahead and create one great video, and break it down into separate 15-second videos to create one Instagram Story. 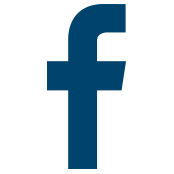 You can also use the full-length video as a native video post on your Instagram Feed, Facebook Feed, and you could even go ahead and upload that video to your YouTube channel and embed that video into one of your blog posts. Holy-mother of content marketing, that’s a lot of repurposing! You really can get a lot of bang for your buck when it comes to content marketing, so we definitely recommend giving it a try for your business or brand. With our app Plann, you can also schedule your Instagram video posts in advance so that you aren’t scrambling to upload them and come up with a cool caption idea on the spot. We’d love to hear about how you plan on introducing video marketing into your overall Instagram strategy. Make sure to leave us a comment on our Instagram account (@plannthat) so that we can check out your latest video post. PreviousPrevious post:Design Your Instagram Grid On A DesktopNextNext post:Creative Instagram Highlight Covers That We Love + Nifty Tips To Create Your Own!